Hydroxyethylcellulose is a cellulose-derived polymer that is used in cosmetics and personal care products as a thickening and gelling agent, as well as a rheology modifier. Hydroxyethylcellulose is a nonionic, water-soluble polymer derived from cellulose. Cellulose is a natural polysaccharide found in the cell wall of green plants. In fact, cellulose is the most abundant organic polymer on Earth. The cellulose content of cotton fiber is 90% and that of wood is 40 to 50%. Cellulose is used across many industries to make numerous products, such as paper, cellophane, rayon, etc. Modified cellulose polymers, such as hydroxyethylcellulose, are widely used in cosmetics, cleaning solutions, and other household products. Additionally, hydroxyethylcellulose is commonly used with hydrophobic drugs in capsule formulations to improve the drugs’ dissolution in the gastrointestinal fluids. Hydroxyethylcellulose is made by reacting ethylene oxide with alkali-cellulose. In cosmetics and personal care products, hydroxyethylcellulose functions as a thickening and gelling agent, as well as a rheology modifier. Thickening agents are an important part of cosmetic formulating. In fact, more than 500 thickeners are listed in the International Nomenclature of Cosmetic Ingredients (INCI) dictionary. Cellulose derivatives are popular aqueous thickeners. Upon addition to a formula, hydroxyethylcellulose has the ability to thicken the aqueous (water) portion of the formula due to its high molecular mass. Even though dry hydroxyethylcellulose exists as white, free-flowing granular powder, the addition of water causes the powder to swell into a crystal clear gel. In fact, of all the natural polymers, hydroxyethylcellulose creates one of the most clear serums and gels. Hydroxyethylcellulose is also considered to be a rheology modifier. Rheology can be defined as “the science or study of how things flow”, and it is a requirement of personal care products that they flow in the right way. 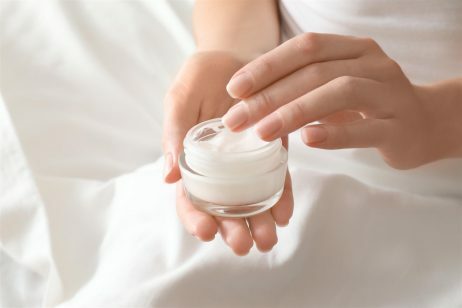 For example, a skin cream should have a rich, thick appearance in the jar, but should be capable of being easily picked up and spread into the skin. Rheology modifiers can be added to a formulation to adjust the product flow. Often, the term “rheology modifier” is used interchangeably with “thickener”. While increasing the apparent viscosity will produce a feeling of “quality” to the formulation, this is only one aspect of rheological control. For instance, hydroxyethylcellulose not only adds thickness to creams and lotions, but also gives them a softer feel. In shampoos and cleansers, hydroxyethylcellulose enhances foam creaminess and richness. This allows the manufacturer to use less surfactant while also reducing the irritation potential, thus making the cleanser more gentle and effective. Lastly, hydroxyethylcellulose is an excellent choice for clear hair gel where it will offer soft hold and a nice feel on the hair without stickiness or flaking. The safety of hydroxyethylcellulose has been assessed by the Cosmetic Ingredient Review (CIR) Expert Panel. 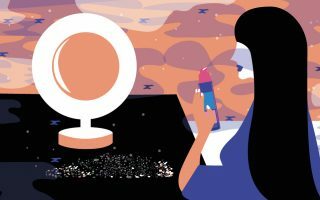 The Panel evaluated the scientific data and concluded that this ingredient was safe as used in cosmetics and personal care products. There is one potential safety concern with hydroxyethylcellulose: contamination with 1,4-dioxane, a substance known to potentially contribute to some cancers. As mentioned above, hydroxyethylcellulose is made by reacting ethylene oxide with alkali-cellulose, a process known as ethoxylation. Ethoxylation can create small amounts of 1,4-dioxane and leave residual ethylene oxide in the product. 1,4-dioxane is a known animal carcinogen that penetrates readily into the skin. 1,4-dioxane has also been linked with skin allergies and is a kidney toxin, neurotoxin, and a respiratory toxin. Despite these concerns, the potential presence of 1,4-dioxane can be controlled through purification steps to remove it before blending hydroxyethylcellulose into cosmetic formulations. References: Wikipedia, “Hydroxyethylcellulose”, Cosmetics Info, “Hydroxyethylcellulose”, Ingredients to Die For, “Hydroxyethylcellulose”, J. Univ. Chem. Technol. Metal. 2007 42. 187-194, Cosmetic Science Technology, “Rheology Modifiers for Skin Care Applications”, 2007, Organic Consumers Association, “1,4-Dioxane and Cosmetic Safety”.